Channelled by Toks Beverley Coker for the FullMoon in Virgo. Full Moon in Virgo is practical, methodical, inspirational and dynamic in a productive kind of way . These 4 men (Daniel, Paul, Glen, Marcus), for me, give the different quality of the Virgo energy. Virgo is friendly yet reserved. Virgo is kind yet strict. Virgo does not suffer fools gladly and they do not like time wasters. They seek excellence in whatever they do. This is a time to focus on your work and what you have achieved. This is a time to focus on your health on a physical level looking after what you eat and your digestive system. This is a time to be of service to others in a way that is secure and profound. This is a time to be organised, sensible, practical and diligent (earth) with personal sensitivity, feelings, psychic intuition, a relaxed global vision and creativity (Pisces). Try not to be too critical and analytical (Virgo Earth). Try not to be too dreamy and unrealistic (Pisces Water). Try not to ignore how you are feeling or thinking. Virgo is not emotional, imaginative, sensitive, ungrounded and dreamy like Pisces. Pisces is not practical, realistic, pragmatic, organised and ordered like Virgo. We can see how opposite they are; and how this time can be difficult for us all; trying to find balance in the chaos of these two extreme qualities. We can work with our dreams (Pisces) and ta ke practical (Virgo) action to manifest them. This FullMoon in Virgo removes what is fake and illuminates what will work and what will not work. FullMoons reveal what needs to be seen or what is hidden. The energy of this time focuses on what works in your life; and what has order and stability for your life (Virgo). It teaches us that if something is not working then we need to learn the lesson and move on to what will work. If you find yourself tidying your home, office or garage you have been bitten by the tidy Virgo energy. This is a good time to focus on areas you may be making sacrifices in, or need to make sacrifices, or areas you should stop making sacrifices (Pisces). This is a time to change and surrender to the full transformation of who you truly are now. The transformation will involve a lot of confusion and a lot of disorientation. It will trigger some forgetting and some remembering. It will activate deep emotional pain that will surface for you to work on in a practical way. What action have you completed this full moon in Virgo? What action have you completed; or are you in the process of completing? I am referring to actions you took, that saw you moving through obstacles and blocks to your vision. Are you going through actions now, that see you, moving right now, through obstacles and blocks from yourself and or others? My Experience: I shared a vision with some people who told me they would do this and do that; and they did not fulfil their words with the proper actions; so I let them let me down and I cried. The tears are the water of Pisces and the vision is the earth of Virgo. I am going to continue with my vision without them. To say something; and to follow up what you have said with action; are two different things. A person should commit to what they say otherwise they are not honouring their words. They may be letting themselves and others down; creating a negative spiral all around what they come in contact with. I choose to celebrate my vision this Full Moon in Virgo; and not give up my vision. 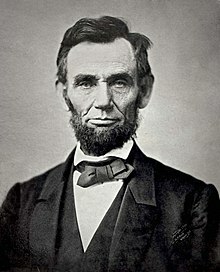 Thank you Abraham Lincoln for the teaching in your life. No wonder I had this experience; as Virgo forces what practical work energy you stay with; and what you leave. I now know what will not work, and I have learnt something new. Thank you for the learning and the moving on. Is there a time waster around you? How do you know who you are when you wake up? I know who I am because I remember. You know who you are because you remember. Is there a difference between confidence and competence? Yes. There is a difference between confidence and competence. You would not want a surgeon who passed with a 50% who is confident he can perform a surgery but not competent. What have you confidently achieved with this FullMoon in Virgo? What have you competently achieved with this FullMoon in Virgo? What has to be true to you? Energy Exercise: Working with the Acceptance of the Presence of Problems in your Now. Seeing and Observing the Lesson to be learnt. Then apply the lesson to your life. Then move on with a smile in your heart and a smile in your feet. Learning a lesson brings you joy. 1. Working with the Archetype of this Full Moon in VIRGO what Archetype are you? Virgo is the Virgin the pure virgin, the Priestess of the Temple, the Torch Bearer, the Keeper of the Flame, the Hermit living by your own light, the Pure One, the Humming Bird. The Healer. The Analyst. The Servant. The Fixer: one who spots the first error in the matrix of life and fixes it. The One: Striving for wholeness within. 2. Working with the Archetype of this Sun in PISCES what Archetype are you? Pisces is the Mystic, the Poet, the Dreamer, the Musician, the Psychic. the Death. How vulnerable and emotional are you feeling? 3. Practical Excellence Exercise: Spend one minute doing the best you can, no matter what you are doing. When the one minute is over, repeat the procedure – doing the best you can, whatever you are doing. A great habit will be born with this energy of the FullMoon! 4. Make a promise and keep it with the energy of the Sun in Pisces. 5. Make a decision and completely do it with the energy of the FullMoon in Virgo. 6. Look after your feet and hands. Have a manicure and pedicure, or soak your feet in sea salt or essential oils (read which is safe for you). 7. Walk on the ground or green grass to ground your energy and bring you back into your body. 8. Organise one are of your life and call in magic.